According to the Modesto Bee, weight loss surgery in California is on the rise. 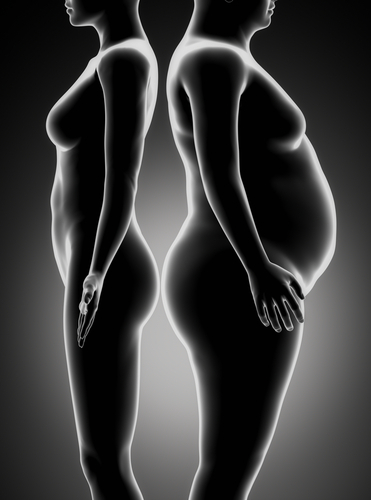 The comparison of figures from 2005 through 2009 showed a seven percent increase in bariatric surgery. This statistic is a microcosm for the rise of weight loss surgery in the United States. Does this mean more people are obese nowadays or that the population of obese is relatively the same and people are just gravitating more toward surgery? This is a hard question to answer. However, it seems that the state of national affairs supports the latter. For one, state and local governments are cracking down on sugar consumption and food label laws. Today more than ever, people are subject to nutritional education and huge labels screaming how many calories are within a package. Higher education and transparency could very well be the reason for increasing numbers of bariatric surgery. Being subject to nutritional education could cause a desire for a second chance in obese people. And, because of food label laws, they may view this chance as incredibly realistic. Now, they'll be able to keep closer track of what they eat and measure their diet. According to the Bariatric Surgery Resource, over 220,000 people underwent weight loss surgery in 2008 – a much higher number than the 171,000 in 2005. Getting bariatric surgery is a popular step toward weight loss many obese people take. It's popular because, after the surgery, you have less of a desire to eat. With the small intestine shortened and the stomach shrunk, patients don't crave as much food and are able to lose weight faster. As one of the most popular forms of elective surgery, there's a reason why so many people get it. It's because it actually works and has low risk. Unlike a quick tummy tuck fix, bariatric surgery has the ability to inspire people to lose weight naturally. By exercising and eating less and healthier, people can attain a body that looks far better than someone who had a tummy tuck. With the amount of surgeries quickly rising, weight loss surgery is proving to be effective for reliable weight loss. To discover more about bariatric surgery in Oklahoma provided by Summit Medical Center, call 405-359-2400 or contact us online today.